Luis Suárez’s name has never been far away from the world goals and since his arrival at FC Barcelona in the summer of 2014, even more so. The Uruguayan reached another goalscoring landmark against Levante on Thursday in the Copa del Rey as his one/two goals moved him into the top five Barça goalscorers of all time with 167 goals in 223 games; spectacular figures from a spectacular striker. 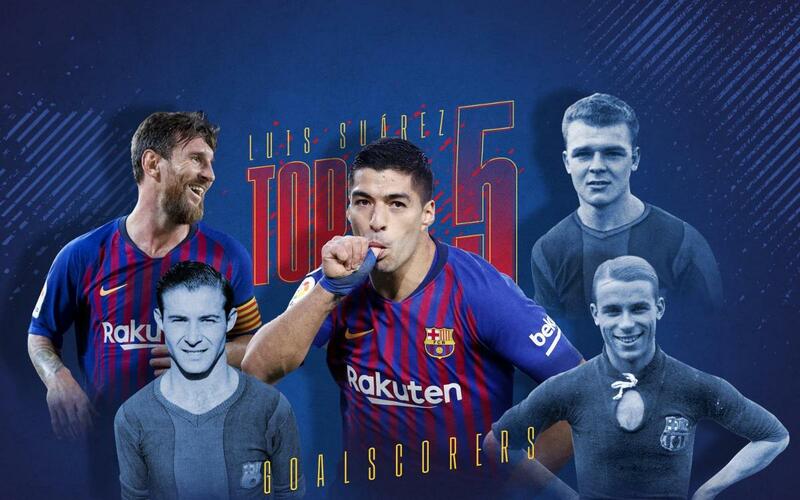 The Barça number 9 has now equalled the total of legendary 1930s and 40s striker Josep Escolà and so now finds himself amongst the top five of all time. 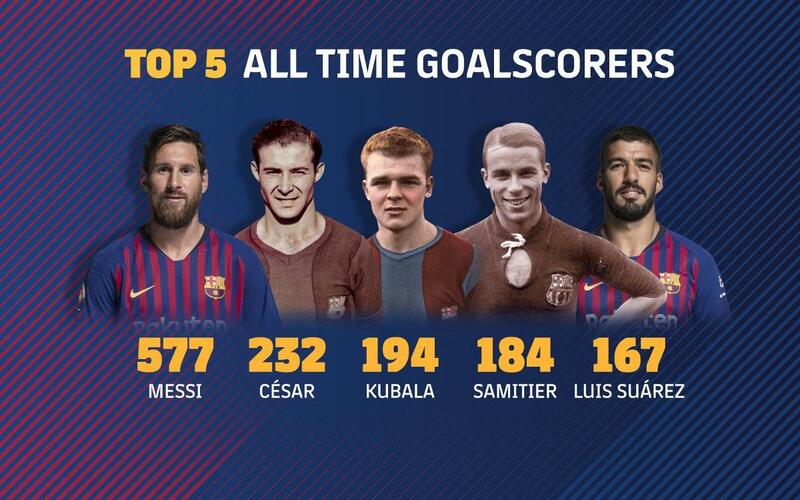 Messi is top of the table on 577 goals with César on 232, Kubala on 194 and Samitier on 184 who are then followed by Escolà and Suárez on 167. The Uruguayan has needed less than four years to make his way into the top five thanks to his ability to score from anywhere and anyhow, all in all, a born striker. Of Suárez’s 167 goals, 124 have come in the league, 19 in the Champions League, 16 in the Copa del Rey, five in the Champions League and one each in the Spanish Super Cup and the UEFA Super Cup. His consistency in LaLiga was rewarded in the 2015/16 season with the pichichi award for tops scorer thanks to his 40 league goals (59 in total) over the campaign. Suárez’s consistency since his arrival at Barça is borne out by his numbers: in 2014/15 he scored 25 in total, 2016/17 he scored 37, in 2017/18 he scored 31 and this season he has 15 so far in total.